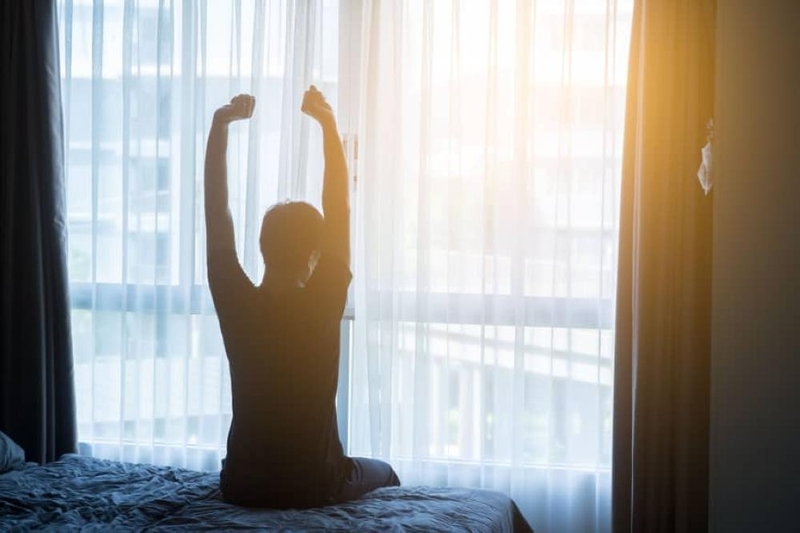 The Gerson Therapy has the potential to enable the body to heal itself from a number of illnesses as it naturally reactivates your body’s ability to heal itself – with out any damaging side effects. 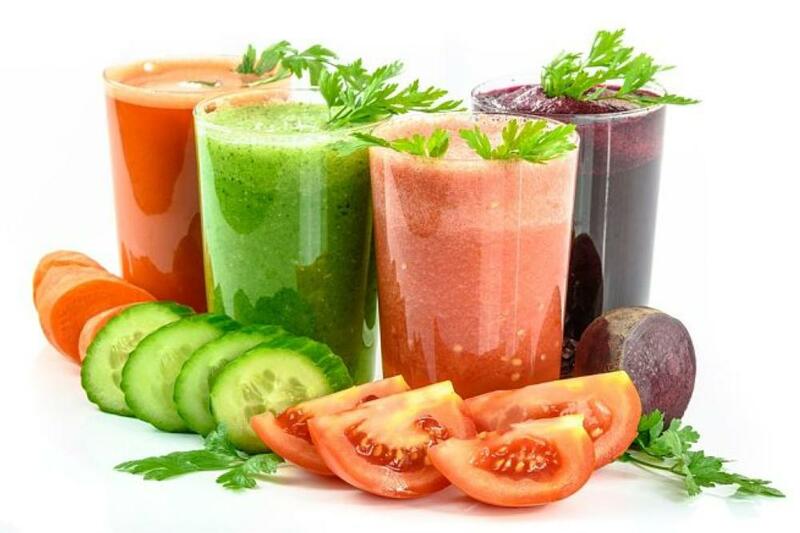 The natural treatment activates the body’s ability to heal itself through an organic, plant-based diet with raw juices, coffee enemas and natural supplements. Dr. Max Gerson developed the Gerson Therapy in the 1930s, initially as a treatment for his migraines and eventually as a treatment for degenerative diseases such as skin tuberculosis, diabetes and, most famously, cancer. 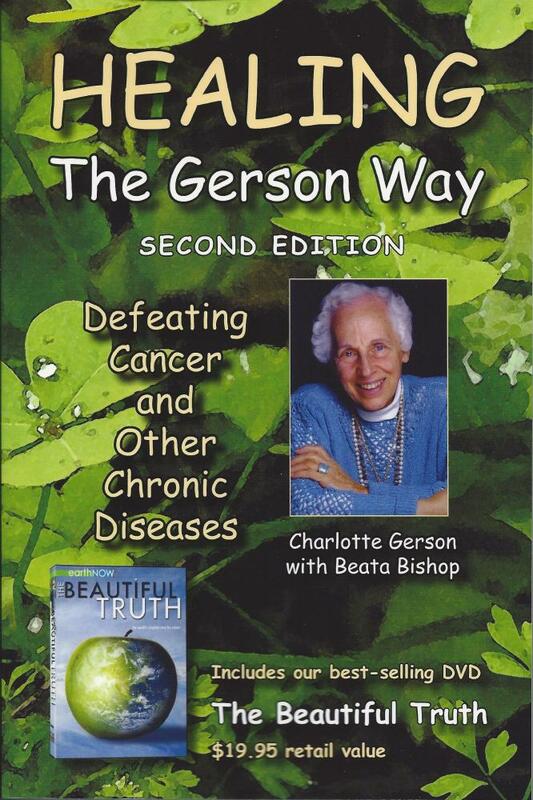 The Gerson therapy is based on the idea that cancer develops when there are changes in cell metabolism because of the buildup of toxic substances in the body. Dr. Gerson said the disease process makes more toxins and the liver becomes overworked. According to Dr. Gerson, people with cancer also have too much sodium and too little potassium in the cells in their bodies, which causes tissue damage and weakened organs. The goal of the Gerson therapy is to restore the body to health by repairing the liver and returning the metabolism to its normal state. According to Dr. Gerson, this can be done by removing toxins from the body and building up the immune system with diet and supplements. According to Dr. Gerson, the liver is further overworked as the treatment regimen breaks down cancer cells and rids the body of toxins. Pancreatic enzymes are given to decrease the demands on the weakened liver and pancreas to make enzymes for digestion. Rather than treating only the symptoms of a particular disease, the Gerson Therapy treats the causes of most degenerative diseases: toxicity and nutritional deficiency. Throughout our lives our bodies are being filled with a variety of carcinogens and toxic pollutants. These toxins reach us through the air we breathe, the food we eat, the medicines we take and the water we drink. An abundance of nutrients from copious amounts of fresh, organic juices are consumed every day, providing your body with a super-dose of enzymes, minerals and nutrients. These substances then break down diseased tissue in the body, while coffee enemas aid in eliminating toxins from the liver. The diet is naturally high in vitamins, minerals, enzymes, micronutrients, and extremely low in sodium, fats, and proteins. A typical daily diet for a Gerson patient on the full therapy regimen is filled with thirteen glasses of fresh, raw carrot-apple and green-leaf juices prepared hourly from fresh, organic fruits and vegetables and three full plant-based meals, freshly prepared from organically grown fruits, vegetables and whole grains. Coffee enemas are the primary method of detoxification of the tissues and blood on the Gerson Therapy. Cancer patients on the Gerson Therapy may take up to five coffee enemas per day. Coffee enemas accomplish this essential task, assisting the liver in eliminating toxic residues from the body for good. The Gerson Therapy is a full-time job, and patients need a great deal of support. It requires enormous lifestyle changes which may not be tolerable or feasible for everyone, such as following a very restrictive diet–without cheating–for several years, eliminating toxic substances from the home, carefully avoiding environmental toxins, and cooking and juicing for several hours every day. 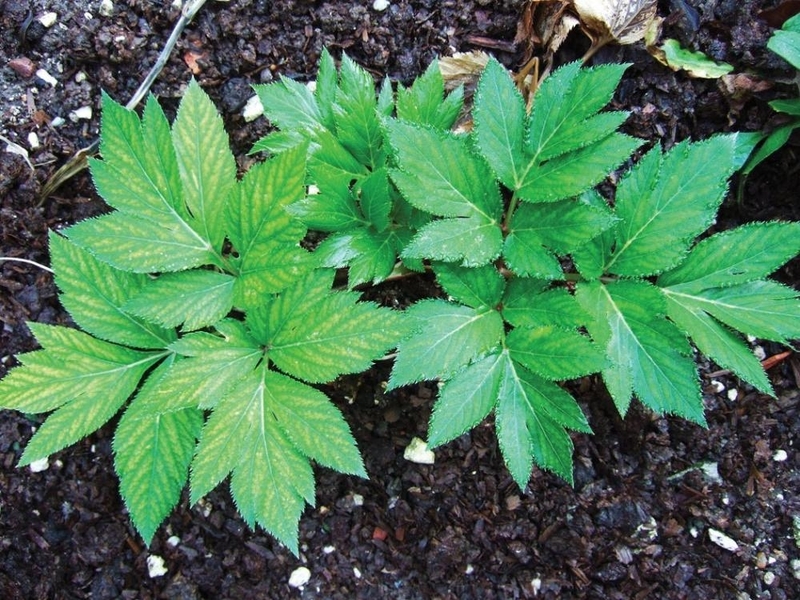 All medications used in connection with the Gerson Therapy are classed as biologicals, materials of organic origin that are supplied in therapeutic amounts. 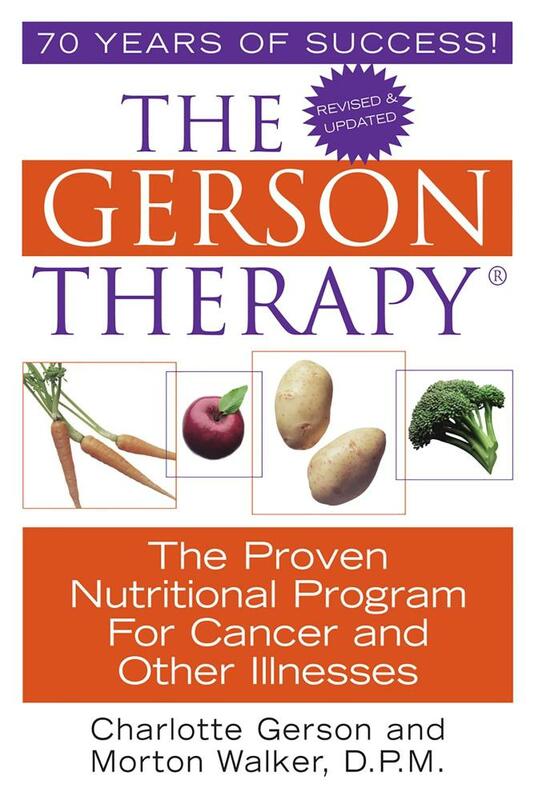 The supplements used on the Gerson Therapy include: potassium compound, lugol’s solution, vitamin b-12, thyroid hormone, pancreatic enzymes and more. Before attempting the therapy, read the Contraindications and Cautions to learn which conditions are not treatable or difficult to treat with the Gerson Therapy.